JAMESTOWN, N.D. (NewsDakota.com) – The Blue Jays Speech Team ended their season Saturday, April 13th at the state meet in Jamestown. 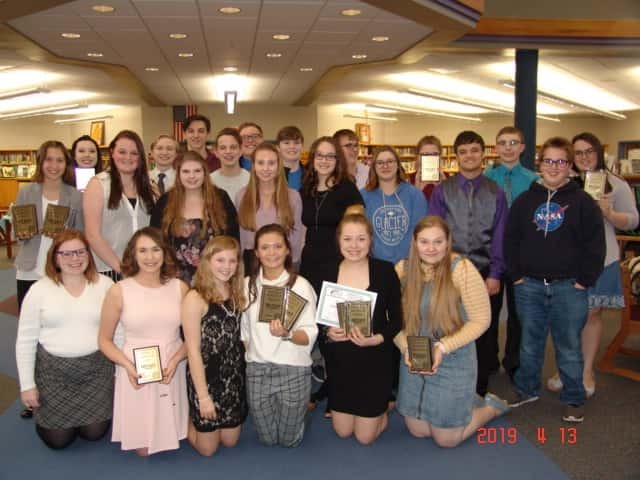 Alivia Hoke was the state champion in Speech to Entertain, was runner-up in Humorous, and received a state CSTAND award for placing in FOUR different categories during the current season. Samara McDermid received 3rd for her Serious Prose interpretation and MacKenzie Johnson placed 5th in her Speech to Inform and was a Superior Medalist in her Serious Prose selection. Other results include: Madison Motschenbacher 8th in Speech to Inform and Speech to Persuade, Jessica Schmitz 8th in Extemporaneous Speaking, Joseph Lauinger 9th in Humorous, Catherine Suckow 6th in Impromptu, Caroline Kiser and Kathryn Hetletvedt 8th in Humorous Duo, Samara McDermid and Joseph Lauinger 7th in Serious Duo, and Caroline Kiser Superior Medalist in Extemporaneous Programmed Reading. The Blue Jays finished 6th overall out of 20 teams who competed at the state meet. The whole team had an award-winning season. Coaches Laura Weis and Chantel Harr would like to congratulate the seniors – Katie Gerszewski, Kathryn Hetletvedt, Alivia Hoke, MacKenzie Johnson, Joseph Lauinger, Samara McDermid, Abby Rang, Madelyn Dempsey-Reinarts, and Jessica Schmitz on an award-winning season. Their guidance, determination, and diligence are inspirational to the other team members.